In the Academic Ranking of World Universities (Shanghai Ranking), one of the most renowned research rankings worldwide, wich is carried out by the Jiao Tong University in Shanghai, the institute for Mathematics at the University of Paderborn has achieved an excellent result and asserted itself as an institute which is strong in research in a competitive and international context. 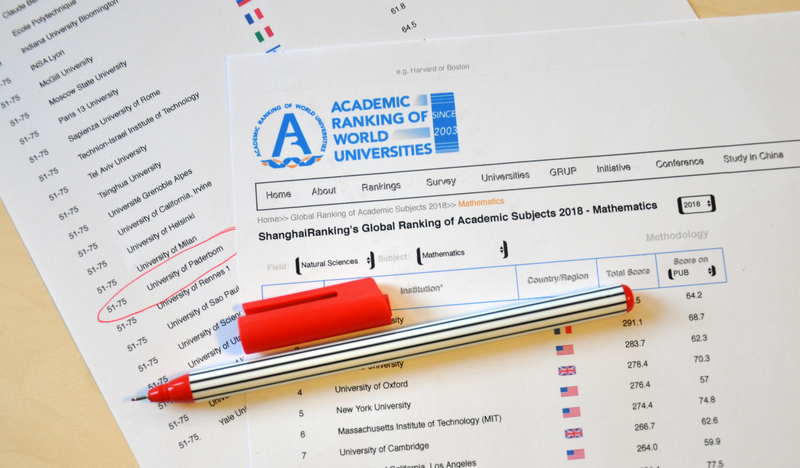 The Academic Ranking of World Universities examines wordwide more than 1200 universites and their subject area and publishes a ranking of the best 500. The field of Mathematics in Paderborn achieved a placement within the Top 75 worldwde.